I am so thrilled to be back and bringing you The Thought Leadership School Podcast. This new show is not only about being a public speaker but about being out there as a leader in your industry and reframing the work you’re doing in the world. If you want to make a big difference in this world, thinking of yourself as a thought leader is the way to do that. Identifying the message you choose to share is a huge part of the future of your life and work. I want to show you how the evolution of a message is an integral and natural part of the thought leadership journey. Tune in this week as I share the story of how I shaped my message when I started my own journey. Discover where the importance lies in broadening your audience through your message, how to do it in an effective way, and embracing every opportunity. What it really means to be a thought leader. Why I chose the direction of thought leadership for this podcast. What you can do to hone your message, especially as our message can shift so fluidly. How you can broaden your arms and welcome more people with your message. Why you are supposed to live into your message as you go forward. Download Beyond Applause: Make a Meaningful Difference through Transformational Speaking for free and gain access to a four-part course on becoming a thought leader in your industry. I’ve collected all of the amazing free resources I offer for you, my dear listener, over at speaksoitmatters.com/yes. Check it out! Welcome to the Thought Leadership School Podcast. If you’re on a mission to make a difference in the world with your message, you are in the right place. I’m Michelle Barry Franco, and I’m thrilled that you’re here. My friends, we are back. I am so thrilled to be here with you. That was a very fruitful sabbatical, and I’m so glad that I took that time to get really clear on where I wanted to go next with this podcast. And really, we were doing a lot of overall business planning. And while I know a lot of people say you need to stay out there and be consistent, and my intuition told me that I needed to step back and really just feel into the next place. I’m so glad I did because I cannot wait to serve you and all of your thought leadership, which is really where we’re headed. So as you saw, we are now the Thought Leadership School Podcast. We are going to talk about public speaking. Of course we are. Because if you’re out there as a leader in your industry, you want to be standing on stages, stepping in front of groups of people doing virtual presentations, webinars, being on podcasts, all the wide range of public speaking. But, this is about so much more than public speaking. It’s about you being out there as a leader in your industry. I just knew that I wanted wider arms around the work that I’m doing, but really around the way you think about the work that you’re doing in the world. Because if you want to make a big difference with your mission and your message, thinking of yourself as a leader and even as a thought leader is the way to do that. So, the Thought Leadership School Podcast just has those wider arms that I was looking for. And it will hold all the things that I want to share with you. So, yes, we are going to keep talking about public speaking. I’m going to continue to give you best practices. I’m going to interview some really great speakers so that you can hear their story and how they do it, how they get on those great stages, how they deal with speaking anxiety, and all of the other feelings that come up as you prep for a speak, and just in the thought leadership path overall. But, I’m also going to talk with you about writing that book that I know there’s a really good chance you want to write. Statistics say that just the public at large and majority of people want to write a book. And then of course, if you’re listening to this podcast, the chances are really high. Or maybe you’ve already written that book and you want to be sharing it more. Or maybe you’ve got the next one in mind. Let’s talk about all the things around how you write that book. I’ll share with you my story about how I wrote it, why I chose to publish it the way that I did. I’ll talk with you about friends and share interviews with colleagues and friends who have gone all the different publishing routes, from traditional publishing to self-publishing to hybrid publishing. We’re going to talk about all of that. Thought leadership is about going out into the world as a person devoted to the mission of serving those people you’re meant to serve. And I just wanted to have a container for sharing all of that with you. So, I want to pick back up where we left off in the last Speak So It Matters Podcast, and I was talking about the message you came to share. I think picking back up there and maybe even going back a little bit in time, I want to take you back a little bit in time and share with you a bit about my own story around my message. Not so much cause I want to indulge in telling stories about my message, but because I’m hoping that you’ll come with me back to the early stages of your own message and we can kind of hold hands and walk that path a little bit together. 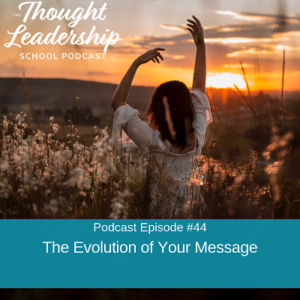 I want to show you how the evolution of a message, including this evolution of my own message and the titles of my podcasts, how it is actually just such a natural part of the thought leadership journey. So in the last podcast episode, I talked about the message you came to share and really how you tap into that. One of the things that often comes up for us around that is, “How do I know if I have the right message?” And that is such a tricky one, isn’t it? Because we do change, and evolve, and shift over time, and I talked about that in the last one. So, come with me back to 2008, which is unbelievably 11 years ago, I promise we won’t go step by step over those 11 years. But, 2008 is when I first hung my shingle as, at the time, a communication consultant. This happened really unexpectedly and really kind of unintentionally in a way. I was in a master’s degree program to become a psychotherapist. I always thought that I would be a therapist. I love hearing people’s stories and then helping them just do what they want to do in their lives. At least that’s how I would have said it to you at the time. But on this particular day, one year into my graduate studies program, I’m sitting in this cafe with two of my dearest friends. I’ve got my, maybe she was six months old or so, my youngest daughter in the sling on my lap. We’re sitting and talking, and in the middle of this conversation we used to meet every Saturday for like three hours. Those were the days. And just talk about our program and about life. And in the middle of this conversation, I had the thought, “I don’t need this degree.” I don’t know where it came from. I mean, it wasn’t necessarily what we were talking about at the time. I knew it was true in this moment. I finished having the conversation with my friends, and then went home and said to Jim, my husband, “Oh my gosh. I don’t need this degree. I already have everything I need to do the work I want to do in the world.” And within a week, I had put a hold on my degree process, and I never looked back. That was whatever, however many years ago that is, 12 years or something. But, I didn’t know what I wanted at the time. I just knew that I didn’t need that degree. So then within a couple, I don’t know, maybe it was a month or so, I had created this trifold brochure. I think it was even sooner than that, like two weeks. Trifold brochure. You know what I’m saying, right? Like an 8 1/2 X 11 sheet of paper held landscape, and then you fold the sides in. Remember when brochures used to look like that? I stuck it in an envelope, and I sent a copy of that. I had it beautifully designed. Then, I sent a copy to everyone that I could think of in the mail, and I had a client the next day. Then, that client referred me to another client. And pretty soon, without any real strategy, I was a copywriter. I don’t know how. You know, one of the offerings was I can either help you say it yourself or I’ll say it for you, right? That’s how I was thinking about communication. Well, it ended up that I was a copywriter. It was lovely to see that I could get clients right away and the business was moving along, but I am not a copywriter. Writing, especially then, was really painful for me. So while I did create good product for my clients, it was so grueling and painful for me along the way. So, that’s it’s 2010 by the time I’m kind of really asking questions about what I’m doing, and I start to learn about online business. I learned about coaching. I get my first coach. So then, I try on all these different messages, right? But I knew that I wasn’t a public speaking coach. You may have heard me tell that story before. Was not a public speaking coach. It’s not about public speaking for me. So, I was a messaging coach. I was even sort of like a life coach at times. I got my whole person coaching certification along the way, so I was a certified coach. So, point is I was coming at this whole message thing from a lot of different angles. I knew what I wanted to do. I wanted to help people live into the life that they imagined. I knew that I wanted to help them express themselves. I just, the stage wasn’t where I saw them doing that, even though I had at this point, I’d been teaching public speaking for more than a decade, public speaking and other communication courses at the college level. So, fast forward through all these different years. And eventually, after I hired very expensive coaches, three or four of them asking them what I should call myself, I finally surrendered to calling myself a public speaking coach and really focusing on that message. I was super happy to do that. I’m still happy to be a speaking coach. I love helping my clients craft a talk that helps an audience go through transformation all within the minutes of the talk that they deliver. It’s a really powerful experience. Until you’re out there, and maybe you know this thinking about your own path, until you’re out there sharing a message, seeing what people ask you, seeing how it feels in you to share that message, it’s really hard to refine that message. It is being out there sharing the message that helps you learn what’s an even better way to say it. This is something that my clients have taught me over time. And I wonder, if you think about your own work in the world, how do you learn how to refine what you want to say? Isn’t it through the questions that they ask? Isn’t it through the comments that people make when you’re at some unexpected family event, like happened to me? So, I was at this family event recently and saw a family friend I hadn’t seen for a very long time. He came up to me and he said, “I read your book.” I was really surprised by this because he’s not a person who speaks in any ways. He’s not out there sharing a message in any of the ways that I usually think of as making an impact as a thought leader or a speaker. I was so touched and said, “Oh my gosh. That’s so amazing.” He said, “I loved it. I think anybody who wants to say anything and have it make a difference would learn a lot by reading your book.” And I nodded my head, and absolutely I’ve heard this over and over again from people. You probably hear this, too. And actually, sometimes, by the way, that confuses us. If you have someone … You know, you’ve I’m sure had this happen. Somebody comes along and says, “Oh, I heard you speak at this event and I know you like to work women. But boy, this message that you have, this could really help high schoolers. Maybe you should start working with high schoolers. You could have a really profound impact there.” Or maybe you work with entrepreneurs and someone comes along and says, “Oh my gosh. We need this message inside of our company. You should come speak at our company event.” And then we get kind of confused, right? Because it is confusing. There are a lot of places that we can make an impact. So, this is really where there is kind of a checking-in process. I knew that there was something broader I was looking for. Now, I will tell you this lovely family friend still isn’t the person that I’m speaking to through the Thought Leadership School Podcast either. But, something about that conversation, being out there having shared my most recent version of my thought leadership message caused this conversation at just the right time to tap this place in me that said, “You know what? I’m ready for the next phase, for the arms wider open version of the work that I’m doing in the world.” And that’s really what sort of put me on the path to the Thought Leadership School and the Thought Leadership School Podcast. So, think about your own path and where are the points where people have asked you things, where people have given you feedback that has really touched that wise place in you, not the confused place in you, not the part in your brain that goes, “Oh, no. This is a person who could have been a client, but now they’re not going to think of me as someone who they could hire because I’m not speaking to them because I niched down too far.” That’s all like our mind doing all of the thinky thoughts in our brain. But, there is a deeper place in you that knows things, and there’s a time when you know that you’re ready for whatever that next phase of your message is. If you can really accept that you can only know that once you’re out there testing out your message, it’s so much easier to get out there with the message you came to share in the version you’ve got right now. That is what I really want you to take away from today’s episode, and also, just as you maybe think about my own arms wider open approach through the Thought Leadership Podcast and all the other stuff that we’re rolling out this year around thought leadership. For me, being a speaking coach and working intensely and in a focused way with all kinds of speakers over the last 10 years has allowed me to see this next new horizon, this broader way of inviting people in that I can serve that absolutely has public speaking as a cornerstone of the work that I’m doing. Where are you on that path? And maybe, most likely, right now is exactly where you’re supposed to be. So, just keep going out there. Share the message you’ve got right now. Please don’t try to make it perfect. It’s okay if you name your podcast one thing, and then a few months later you change it to a new name, and then, by the way, a few months later you change it again. You can just look at me as evidence. I’m thrilled with the path that’s laid behind me and so excited about the one going forward. I want you to know that that message that lives in you, it’s dynamic and it is meant to be lived into and it is living into that message that will teach you the next version, and the next version, and the talk that you’re supposed to deliver next, and the talk you’re supposed to deliver after that one, and the book you’re supposed to write, and the business you’re supposed to build, and the mission, and the hundreds, or thousands, or millions of people that you’re supposed to impact. You start exactly where you are right now. You give it everything you’ve got. You keep listening to that wise place in you, and keep on coming back to the Thought Leadership School Podcast, because I’m going to keep pointing you in that same place, as well as share with you all the best practices, stories of inspiration, interviews with other thought leaders who are doing the kinds of things that you so want to do so that you can learn from them. None of us starts out working with the highest level people in our audience industry. It just isn’t how it works, right? We go test it out. I didn’t start out working with the high-level speakers that I get to work with now. It was the process of being out there testing my message, drawing in the people that were appropriate at that time, learning from that process, refining. So, I am thrilled to be back here with you through the new Thought Leadership School Podcast, which is really just a continuation of where we left off a month ago. I am going to bring you all the best that I’ve got, just like I have before. I’ll continue to do that, but our arms are just wider open here going forward. All right, my friend. That’s what we have for this week. It is just so good to be here with you. 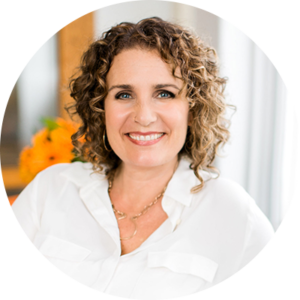 And I am just so excited to have you here with me in the new Thought Leadership School Podcast. I cannot wait to go on all the adventures with you going forward. Meantime, get out there. Share your message. Make that difference that you are so meant to make because you know you were made for this. I know because you know. See you here next week. Thanks so much for being here with me on the Thought Leadership School Podcast. If you want specific and actionable guidance on how to become a recognized leader in your industry, you can download a free copy of my book, Beyond Applause: Make a Meaningful Difference through Transformational Speaking, at speaksoitmatters.com/freebook. Don’t miss an episode, subscribe via iTunes, Stitcher, or RSS. Leave me a review in iTunes. 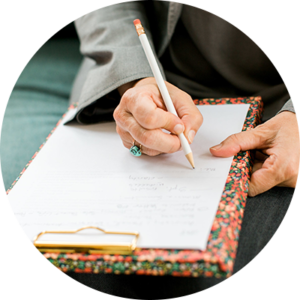 I am a speaking coach who helps mission-driven leaders, coaches and creatives say ‘yes’ to their calling, step into their expert selves, and serve others through sharing the stories only they can tell. Learn the five things you must do to become a go-to speaker in your industry. Imagine You Are on a Rooftop… What is the Message You Are Compelled to Share? What Does It Take to Be a High-Impact Speaker? Simply fill out your name and email below, and we'll let you know as soon as we have dates and details to share! Sign up here to be on our first to know list of beautiful, special people who will be FIRST to know when pre-order is available? Get your action guide right now and start implementing immediately! Your audiences are waiting for you. Enter Your Name + Email Below to Sign Up for Your Transformational Story, a 5-Day FREE Challenge! Enter Your Name + Email Below to Sign Up to Be Notified When Your Transformational Story, a 5-Day FREE Challenge Goes Live Again! Enter your name and email below to get your seat! Simply fill out your name and email below, and we'll send you the weekly Beyond Applause email! Enter Your Name + Email Below to Sign Up for Craft Your Awesome Talk, a 5-Day FREE Challenge! Get your action guide right now and start implementing immediately... Your audiences are waiting for you!